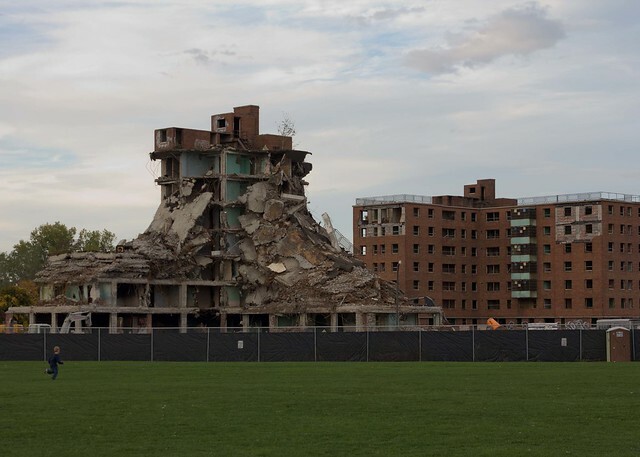 The Glenny Drive housing projects, built in 1954 and abandoned in 1981, are finally coming down (Google map). The first of six, 7-story towers is being carted to the landfill by Apollo Dismantling Services of Niagara Falls, NY. 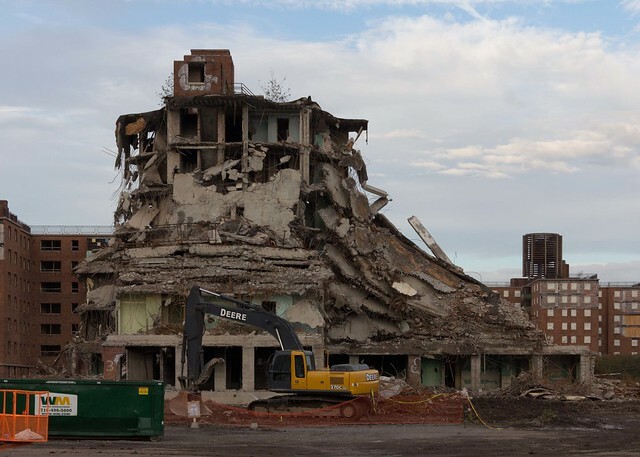 The Glenny projects, also known as the Kensington Towers, are to Buffalo what Pruitt-Igoe was to St. Louis and Cabrini-Green was to Chicago, and now joins these two icons of the urban renewal era as they're swept into the dustbin of history. The site is slated for a senior living continuum care facility to be developed by Centerstone Development with a $5 million New York State subsidy. Centerstone is headed by Buffalo-based attorney John Giardino.